Thank You Charles! Celebrating 50 Years, and a Happy Retirement! 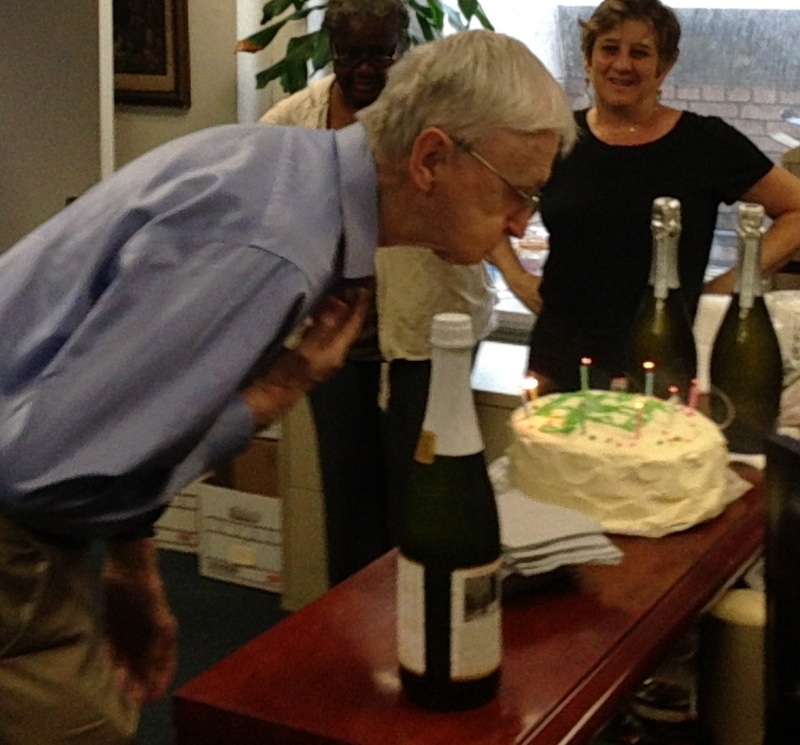 The delightful Charles Schlessiger of Brandt & Hochman, the New York literary agency, (who celebrated his 81st Birthday in 2014 while still at the office!) 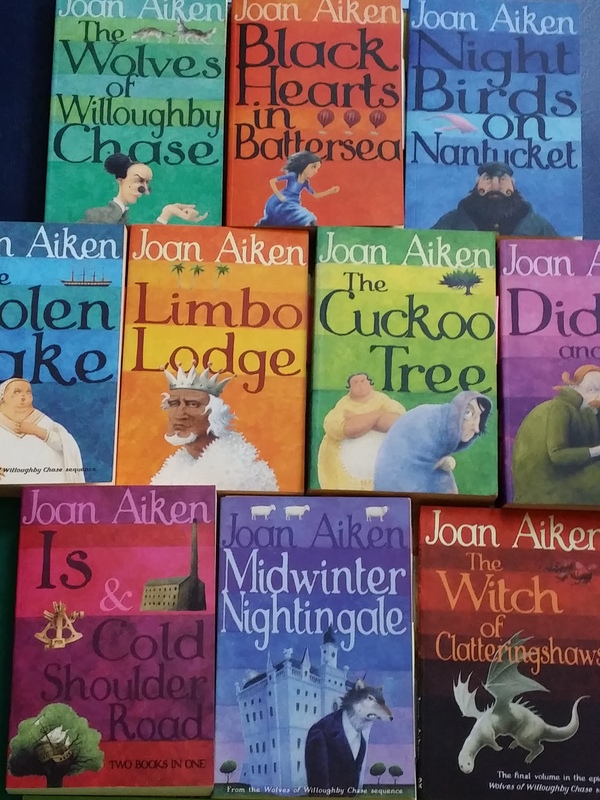 was Joan Aiken’s agent for 50 years. He only recently decided to retire and give up his daily subway journey to their offices in Times Square where he has seen the passing of over half a century, and many changes in the publishing business, including the move from handwritten letters to email, and the introduction of electronic books – originally greeted with much suspicion! Throughout his years in the business he gained a reputation for his charm, courtesy and good humour, and for the wonderful stories he could relate. Honoured on the Brandt & Hochman website as the ‘Institutional Memory’ of the agency, having worked his way up from a young assistant in 1956 to respected and very senior agent by 2014, he became practically an institution himself. 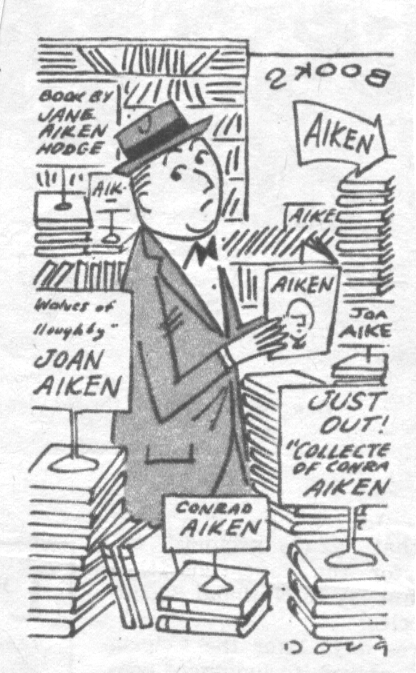 As Lewis Nichols noted in the New York Times in 1963, in an article which accompanied the cartoon above, Joan was not the only Aiken producing books at the time he took her on. Her father, Conrad Aiken, Pulitzer prize winning poet, had just published his Collected Novels, sister Jane Aiken Hodge was becoming well known as the author of gripping historical romances, and Joan herself was celebrating the publication of her hugely successful children’s book The Wolves of Willoughby Chase – hailed by Time magazine as “One genuine small masterpiece!” and which according to Nichols had already sold over 11,000 copies within a few weeks and gone into a second edition. “I suppose I am counting my chickens before they are hatched, but I am delighted to be working with you, and I know this is all going to work out!” It certainly did. Joan kept all her letters from Charles, which soon began to mount up, as did hers to him, and soon they were not only corresponding but meeting frequently, as Joan flooded his New York office with stories, and began to be published regularly in the USA. When in 1976 Joan married the American painter Julius Goldstein and began to spend half her year in New York, they all became close friends. 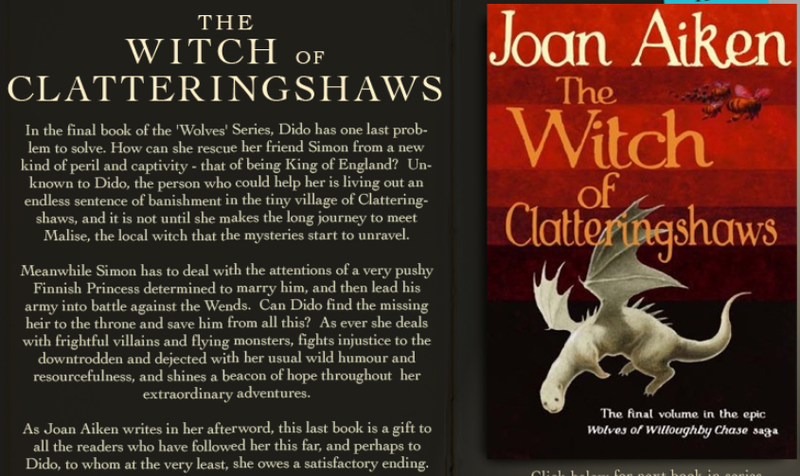 Sadly Joan was not there in 2012 to celebrate the 50th Anniversary of The Wolves of Willoughby Chase, but as her daughter and literary ambassador I was in New York with Charles that autumn and with the help of the Brilliant Bank Street Bookstore hosted an evening of celebration – rather alarmingly it turned out to be just days before hurricane Sandy hit town! So it was not until some time later , when Charles disclosed news of his upcoming 80th birthday that it became obvious that we should have been having a triple celebration! Celebrating his 80th Birthday at the office!